Żminijietna - Voice of the Left said that a comprehensive risk analysis on gas storage at Marsaxklokk should be carried out. 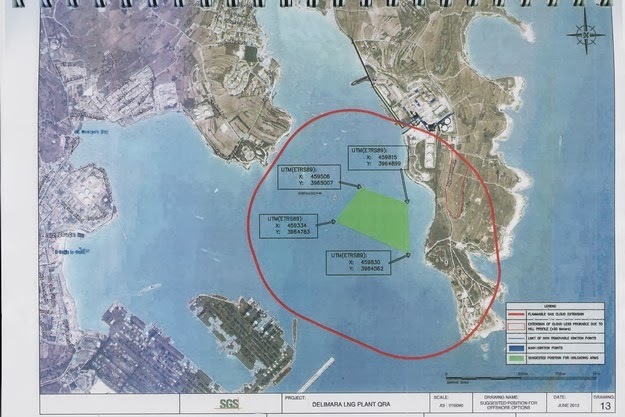 The NGO added that such risk analyses should be mainstream in Maltese policy-making to cover areas such as energy storage and distribution, and presence of warships. "We support ENGOs and residents' concern on the need for a comprehensive risk analysis at Marsaxlokk. This should be carried out through a multidisciplinary approach so as to ensure that the transition towards gas, for which the Government has an electoral mandate, is carried out as safely as possible. In this respect we note that all energy options have risks and that partisan populism is not helping tackle the matter seriously". "Żminijietna reiterates that the State should play a leading role in the provision and distrubution of energy, and that Malta's energy policy should also give priority to the need for increased renewable energy sources. This will help decrease dependency on energy big-business and will help ensure a sustainable transition". Żminijietna - Voice of the Left submitted 15 proposals to the Government in connection with the Green Paper on Poverty and Social Exclusion. "It is positive that the Government is recognising that poverty and social exclusion have various dimensions, that holistic policies are required for growing problems, and that the State has responsibility in this regard". "Malta should look towards a social model based on a universal welfare that gives importance to to particular challenges and diversities in relation to poverty and social exclusion. Discourse on inequality cannot exclude factors related to social class and should not give the impression that there is no alternative to neo-liberal ideology". "Żminijietna's proposals deal with a need for increase in the minimum wage and reform in COLA to reflect the cost of living; legislation against precarious employment; active policy measures within a context of universal welfare; action against energy poverty and in favour of green jobs; inclusive policies on disability; decent pensions; equality amongst children; progressive fiscal policy; a maximum wage in the public sector; integration and social justice in relation to immigration; increased consultation with civil society; official discourse that promotes social justice rather than neo liberalism; a structured debate on the introduction of a universal basic income; increased investment in preventive health and egalitarian health policies; and a one-stop shop to assist people experiencing imminent crises"
Żminijietna's document is found beneath this press release. Zminijietna Lehen ix-Xellug tawgura lill-Gvern li qed iniedi process ta’ konsultazzjoni dwar il-green paper ghal struttura ghal tnaqqis fil-faqar u ghal inkluzoni socjali. Huwa pozittiv li l-Gvern qed jirrikonoxxi li hemm dimensjonijiet varji tal-faqar u eskluzjoni socjali u li dawn jehtiegu politika olistika ghal problema li qed tikber. Huwa pozittiv ukoll li l-Gvern qed jirikonoxxi li l-Istat ghandu responsabilita’ li permezz ta’ politika socjali jista’ jikkumbatti dawn l-isfidi, u li ser jidhlu bosta mizuri f’dan ir-rigward, kif gew imhabbra fil-bagit 2014. 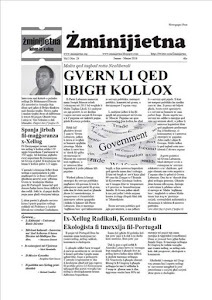 Zminijietna Lehen ix-Xellug temmen li Malta ghandha thares lejn mudell socjali li hu mibni fuq welfare state universalista’ li jaghti l-importanza xierqa lil sfidi partikolari u lid-diversitajiet li jezistu fil-faqar u fl-eskluzzjoni socjali. Zminijietna temmen ukoll li diskors dwar l-inguwaljanza ma jistax ihalli barra fatturi relatati ma’ klassi socjali u lanqas ma jista’ jirraguna li ma hemmx alternattivi ghal politika neo-liberali u kuncetti bhall-privatizazzjoni. 1. Zieda fil-paga minima u riforma fil-COLA biex tirrifleti l-gholi tal-hajja. Din ghandha tkopri lill-haddiema kollha, full-time, part-time u kuntrattwali, u tista’ twassal ghal livell ta’ ghejxien ahjar ghal haddiema b’paga baxxa, partecipazzjoni ikbar fis-suq tax-xoghol peress li x-xoghol ikun iktar irendi u iktar produttivita’. 2. Ligi kontra x-xoghol prekarju. Ghandu jkun hemm definizzjoni cara ta’ xoghol prekarju biex b’hekk tidhol fis-sehh leglizlazzjoni kontra dan it-tip ta’ xoghol u favur xoghol dicenti. 3. Active policy measures fi sfond ta’ welfare universali. Filwaqt li hu tajjeb li jkun hemm skemi ta’ tahrig, tapering ta’ beneficcji socjali sabiex jinkoragixxu lill-persuni biex isibu mpieg minghajr ma jiehdu skoss permezz ta’ telf ta’ benefficji socjali, dan m’ghandux iwassal ghal welfare kundizzjonali u tnaqqis ta’ welfare universali. Dan ta’ l-ahhar ghandu jitqies bhala kumpens ghal inugwaljanzi u diffikultajiet li ggib maghha sistema kapitalista, u bhala dhul xieraq li jizgura li ma jkunx hemm nies fil-faqar. 4. Glieda kontra l-faqar relatat mal-konsum ta’ l-energija u favur il-green jobs. L-istat ghandu jizgura mhux biss li l-kontijiet tad-dawl, ilma u gass ikunu affodabbli, izda ukoll li jizdied l-access ghall-energija nadifa u rinnovabbli b’ghajnuna ta’ l-istat u ppjanar li jzid l-access f’binjiet. Sfidi ambjentali u ta’ energija ghandhom jitqiesu bhala opportunita’ ta’ holqien ta’ green jobs u sostenibilita’. L-istat ghandu jkollu rwol ewlieni fil-produzzjoni u distribuzzjoni ta’ l-energija. 5. Politka inklussiva dwar dizabilita’. Ghandu jkun hemm politika li tirrikonixxi id-diversita’ ta’ dizabilitajiet, biex b’hekk tinkoragixxi independent living, impieg u/jew harsien socjali skond il-persuna, sabiex kulhadd ikollu kwalita’ ta’ hajja tajba garantita. Il-kunsilli lokali ghandhom jigu obbligati li jimpjegaw persuni b’dizabilita’ fost il-haddiema taghhom. 6. Penzjoni dicenti. Malta ghandha tersaq lejn penzjoni universali ghal kull penzjonant sabiex jonqsu l-inugwaljanzi ta’ klassi socjali u l-faqar. L-istat m’ghandux jabdiga mir-responsabilita’ li jipprovi din it-tip ta’ penzjoni. Haddiema anzjani m’ghandhomx jigu meqjusa bhala piz fuq l-ekonomija u jigu ddiskriminati, izda ghandhom jithallew jahdmu jekk huma jixtiequ jaghmlu dan, filwaqt li jibqghu igawdu penzjoni shiha. 7. Ugwaljanza fost it-tfal. Ghandha tissahhah l-edukazzjoni komprensiva, li filwaqt li tirikonoxxi li tfal jista’ jkollhom hiliet u interessi differenti, m’ghandhomx jigu segregati b’mod klassist. Ghandu jigi zgurat ukoll li t-tfal kollha jkollhom id-dritt ta’ access universali ghall-attivitajiet kulturali, muzikali, sportivi u edukattivi offruti mill-istat. 8. Taxxi progressivi. Il-Gvern ghandu jerga’ jintroduci taxxa fuq id-dhul ta’ 35% ghal min ghandu paga gholja. Din ir-rata hija wahda mill-iktar baxxi fl-Ewropa u ma xxekilx l-investiment jew l-inizjattiva. Id-dhul iggenerat ghandu jintuza biex jiffinanzjaw nefqa pubblika tal-Gvern, li b’hekk tkun fuq sisien sostenibbli, specjalment f’dak li ghandu x’jaqsam ma’ nefqa rikurrenti. 9. Paga massima fis-settur pubbliku. Il-Gvern m’ghandux izid l-inguwaljanzi fis-settur pubbliku billi jaghti pagi astronomici, fejn hemm min sahansitra qed ikollu iktar minn zewg pagi full-time ta’ xoghol u konsulenzi li jaghmel fis-settur pubbliku. 10. Integrazzjoni u gustizzja socjali fl-immigrazzjoni. Ghandu jkun hemm iktar infurzar tal-ligi kontra min qed jisfrutta’ lill-immigranti irregolari ghal xoghol, u ghandu jkun hemm politika iktar socjalment gusta fuq livell nazzjonali u Ewropew favur integrazzjoni u kontra d-detenzjoni u pushbacks. 11. Hidma ikbar mas-socjeta’ civili. Ghandu jkun hemm iktar konsultazzjoni ma’ ghaqdiet non-governattivi, ricerkaturi u esperti f’oqsma varji tas-socjeta’ civili. Fost ohrajn, ghandu jigi zgurat li jkun hemm iktar konsultazzjoni ma’ ricerka li ssir fl-Universita’ ta’ Malta. 12. Gustizzja socjali u mhux diskors neoliberali u ta’ l-underclass. L-istat ghandu jahdem ghal mudell socjali ibbazat fuq gustizzja socjali, ugwaljanza, accessibilita’ u inkluzjoni. Ghalhekk diskors ufficjali li jhares lejn persuni foqra bhala kazijiet ta’ individwi li jgibu ruhhom hazin u li huma hatja tal-faqar taghom ghandu jigi evitat. Ghandu jigi evitat ukoll diskors ufficjali li jsostni li m’hemmx alternattivi sostenibbli ghall-privatizazzjoni ta’ servizzi pubblici. 13. Diskussjoni strutturata dwar l-introduzzjoni ta’ dhul minimu garantit ghal kulhadd, sabiex hadd ma jghix fil-faqar filwaqt li ma tinqatax l-inizjattiva ghal min irid jidhol fis-suq tax-xoghol. Is-sistema tal-welfare tkun issimplifikata u l-ispejjez socjali relatati ma’ faqar jinghelbu. 14. Investiment ikbar fis-sahha priventiva u politika kontra inguwaljanza ta’ klassi fis-settur tas-sahha. Il-Gvern m’ghandux jippermetti li min ghandu access ghal insurances u konsultenti privati jinghata preferenza ghal access fis-settur pubbliku tas-sahha. 15. One-stop shop ghal persuni fi krizi imminenti. Il-Gvern ghandu jiffacilita’ l-access ghal ghajnuna socjali lil min ghandu emergenza ta’ faqar u/jew eskluzoni socjali bhal persuni li jinsabu bla saqaf, eks-habsin, immigrant irregolari u persuni li jesperjenzaw faqar ghall-ewwel darba minhabba emergenza bhal mard serju. 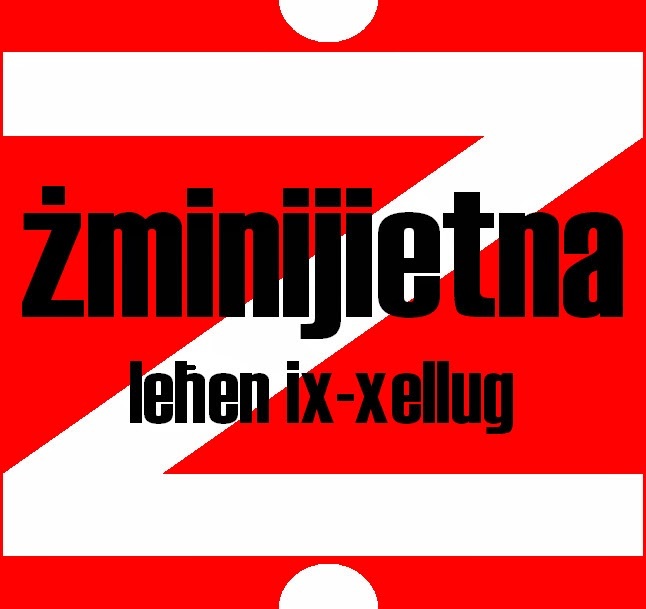 Female Genital Mutilation: Żminijietna supports Ban and Guidelines for support. Żminijietna – Voice of the Left fully agrees with the new guidelines for support presented by Labour MP Dr Chris Fearne, as these go in line with the European Commissions’ plan in developing a multidisciplinary cooperation in the fields of health, education, judiciary, social services and child protection. “According to Labour MP Dr. Chris Fearne, who is also piloting the bill for the criminalization of female genital mutilation, children of these migrants living in Malta may be at a higher risk of undergoing the procedure. As estimated most of the female asylum seekers who came to Malta, were from countries where genital mutilation is often practiced. Further on, it may be difficult to establish the number of girls who may be at risk and there is lack of evidence on the circumstances of mutilations carried out on girls living in the EU. Studies show that many survivors from the practice of female genital mutilation may go through short and long term consequences after this procedure”. Żminijietna believes that “children at risk should be placed under care order if need be. Also NGOS, Government agencies, police and health care professionals working with migrant communities should be provided with guidelines on how to deal with such situations. The European Commission is also of the opinion that though health services are being sufficiently provided, there may be a lack of holistic approach, including psychological and post traumatic support for victims. Victims need to be supported. Żminijietna - Voice of the Left said that whilst the proposals on party financing which are being proposed by the Government are a step forward from the current situation, state funding for political parties and groups can help increase transparency, democracy and accountability. "State funding for political parties and other political organisations can help increase representation of different political voices in elections and civil society, and can help reduce dependency on big business and unaccountable sources. Such funding can therefore help ensure a more democratic political system". "We therefore believe that the debate on party financing should be broadened to consider the scope of party financing, rather than narrowed down by focusing on technicalities". "Government should take a clear position against the dumping of 800 tonnes of biohazard chemical weapons in international waters between Italy, Malta and Greece", said Żminijietna - Voice of the Left. "The transfer of the weapons from a Danish ship to a specialised American processing vessel is due to take place in the coming weeks, off the port of Gioia Tauro, south of Italy. The government and all Maltese MEPs should put pressure on the European Commission to ensure that the transfer of Syrian chemical weapons does not take place in the Mediterraneanregion. We applaud Labour MEP Joseph Cuschieri, who already raised this issue in European Parliament, thus taking a far stronger position than Minister George Vella, who played down the danger. 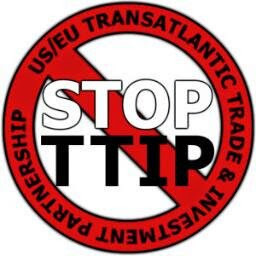 We urge other MEPs to take a clear position on this issue", stated Żminijietna - Voice of the Left. Żminijietna - Voice of the Left said that "The International Movement 'Let's Do It' are also appealing to the Organization for the Prohibition of Chemical Weapons (OPCW) to reconsider better options for neutralization and dumping, and are also appealing the Prime Ministers of Greece, Malta and Italy not to allow such a destructive process that will hinder the well-being of Mediterranean and European societies and ecosystems. This is done through an international petition.